In order to legally fish in the state of Florida, you are required to obtain a proper fishing license, even if you attempt to catch fish and release them. It does not matter whether the fish is caught inside the state or in federal waters; the rule still applies. The only instance in which you will not be required to apply for a FL license to fish is if you fall in an exempt group. Once you have purchased a recreational fishing license, it will remain valid for a period of 12 months. If you are a Florida resident and an avid fisherman, you may want to consider getting a lifetime fishing license. The Florida Fish and Wildlife Conservation Commission only issues lifetime fishing licenses for the purposes of freshwater fishing, saltwater fishing and hunting. If you move out of the state, your lifetime license will still remain valid in FL. Fishing in saltwater for crabs, clams and other saltwater organisms, including fish, requires you to obtain a saltwater fishing license in the state of Florida. The good news is that obtaining this documentation to fish is not difficult, and there are plenty of affordable options. As long as you have a Florida driver license and a Florida address or are a member of the US military stationed in FL, you can qualify as a resident in the eyes of the Florida Fish and Wildlife Conservation Commission. But regardless of the qualification you meet of the two mentioned, you will have the same application methods available to you. Residents have the option of either applying for resident saltwater fishing licenses online, by phone or in person at a tax collector’s office in FL. Renewing fishing license documentation in Florida is not as complicated as it might seem. In truth, if you want to maintain fishing privileges, you must simply buy a new permit to saltwater fish. And, as mentioned before, fishing permits in Florida are available online through the FWC website, by phone or in person at tax collector offices. Stolen or lost fishing licenses in Florida must be replaced if holders plan on maintaining fishing privileges. In order to do so, they must either print out a duplicate online or go in person to a local license vendor to pay the applicable fee. Saltwater fishermen who are interested in obtaining lifetime credentials have options in the state of Florida. 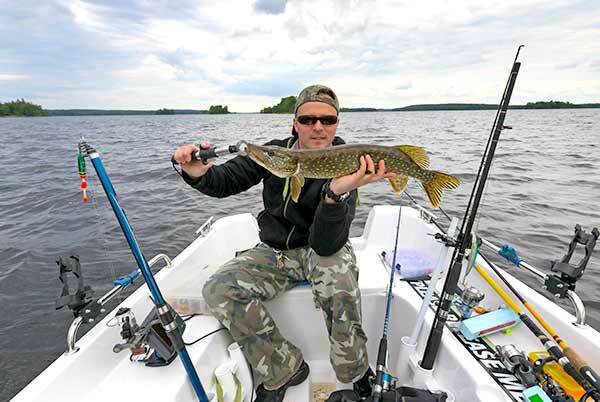 They can either apply for lifetime saltwater fishing licenses, which only allow you to fish in saltwater, or lifetime sportsman’s licenses, which encompass freshwater fishing, saltwater fishing and hunting. As is to be expected, the comprehensive sportsman’s credential comes at a higher price. Unfortunately, the Florida FWC Commission does not offer special credentials to seniors for saltwater fishing. A reduced-fee option is only available for those interested in freshwater fishing licenses. Members of the United States military (both active and retired) do have the ability to obtain saltwater fishing permits and more for a cheaper price. The FL FWC offers what is known as the Military Gold Sportsman’s License, which combines the hunting license, the freshwater fishing license and the saltwater fishing license into one.